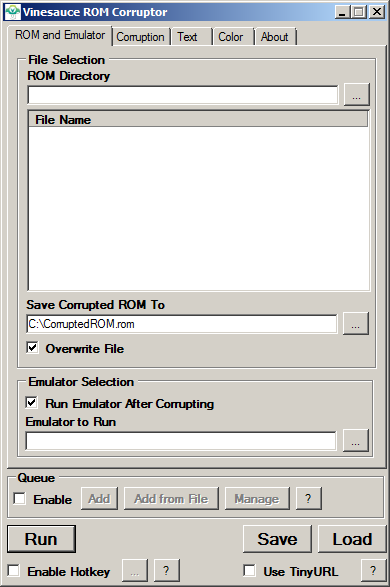 Version 1.2.2 of the Vinesauce ROM Corruptor improves the user interface by separating the various functions into tabs. This results in a smaller window which is compatible with a greater number of screen resolutions. Welcome to the Development Category! Posts in this category will focus on the development of corruption software. Stay tuned for both the best and worst software engineering you have ever seen!